The first of two days of testing at Homestead saw 35 cars set times, with Michael Valiante fastest among the DPs, his 1:14.151 in the Finlay Crawford Ford, just 11 hundredths faster than Patrick Carpentier in the Citgo / SAMAX Riley Pontiac. 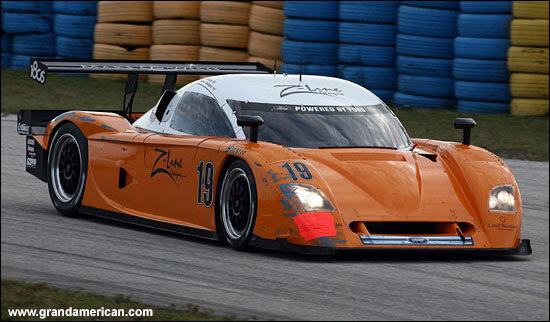 Porsches were 1-2-3 in GT, followed by the pair of SpeedSource Mazda RX-8s, then the new Banner Racing Pontiac GXP in sixth (Leighton Reese / Kelly Collins / Paul Edwards). One purpose of the test was to get more miles on the Bosch ECU, the standard system for 2007, and Travis Braun (brother of Colin) spoke to many teams and engine builders, and reports that “they all said the ECU is a lot better than at the previous test, but there are still a few tiny bugs to be worked out. On the subject of the ECUs, Scott Spencer, the Deputy Director of Competition at Grand Am, released a document produced by Bosch (“a list of issues and fixes”) to the teams a week ago, to help them solve any problems with the Bosch 4.3 unit. The document covers a whole host of “issues”, under the following headings: Cam and Crank Sensor Triggering, Engine Harness Grounding, Lambda Sensor, Gear Potentiometer, Beacon, Wheel Speed Sensors and Vehicle Speed, Accelerometer and Switches. There are 24 areas for the teams to check. Presumably they’ve all had a busy week ahead of this test – which has paid off in terms of improved running (although with no traction control now of course). The top 16 DPs were closely matched on times – all the way from Valiante’s best time in #19 down to the Cheever Crawford on 1:15.247. In among this bunch were both of Peter Baron’s SAMAX Rileys. Besides Carpentier, second fastest in #11, the two cars were driven by Darren Manning, Ryan Dalziel, Jeff Bucknum, Tom Kimber-Smith and Milka Duno. Travis was pretty sure that the tall German driver didn’t get any laps on the first day, because he said he didn’t fit in the car. The team was going to work on ‘fitting him in’ before the second day of the test. The #23 Crawford Porsche was fifth fastest, a time set by Patrick Long. Crawfords were first, fifth, eighth and tenth fastest, the remaining spots filled by Rileys. The only non-Riley / Crawford at the test was the #77 Doran Ford – which was 14th fastest, driver unknown. The Riley Motorsports Riley, #91, was 11th fastest (Jim Matthews / Marc Goossens / Ryan Hunter-Reay). Jimmie Johnson will drive with these three at the Rolex 24, and will also race the Riley at the mid-season Daytona event. 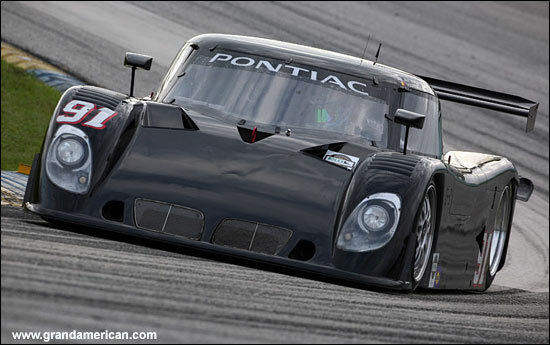 This car should see Bryan Sellers, Johnny Mowlem and Terry Borcheller in it on day two. 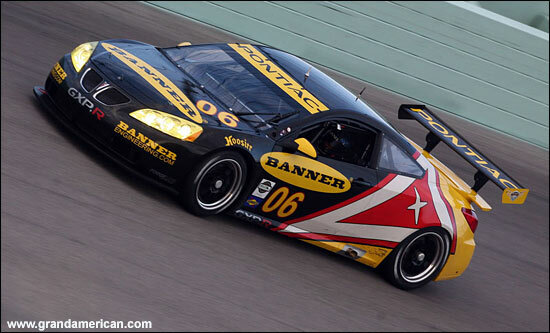 The Ganassi Riley was being driven by Scott Pruett and Mexicans Memo Rojas and Carlos Pardo. "Today for me was pretty simple, set up the car for Carlos and Memo and help get them up to speed the best I can so we could determine a second driver for the team,” said Pruett. “I ran a handful of laps first thing this morning and turned the car over to them. Our plan should be the same for tomorrow so we'll see how they run." The Ganassi entry was twelfth fastest. Juan Pablo Montoya was present at the test with the Ganassi team, but didn’t drive. With thanks to Travis Braun for gathering the comments indicated above.